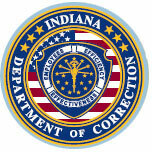 The following contains important information for friends and family members of inmates who are incarcerated in a jail or prison in the state of Indiana. Each of the correctional institutions below answers the frequently asked questions you may have such as how do you send money and mail to an inmate, what the visiting hours for the institution are, how you can talk to an inmate over the phone and more. Best of all if you cannot find the answer to your question, post it on the facilities page and our staff will work quickly to get you an answer. While we work each day to ensure the accuracy of all the information we give our users, we ask that before you visit you call the institution and verify the visiting hours. The reason we ask all our users to call first is because the visiting hours often change and are sometimes on a rotating schedule. If you notice we have the incorrect hours for one of our institutions please leave a comment on that institutions page so we can correct it to give our other users a better idea of when they can visit their inmate.